This is episode two from season two of American Songster Radio. African-Americans made up as much as a quarter of the cattle range work force in the Old West. It comes as no surprise that cowboy music would incorporate elements of African-American music. 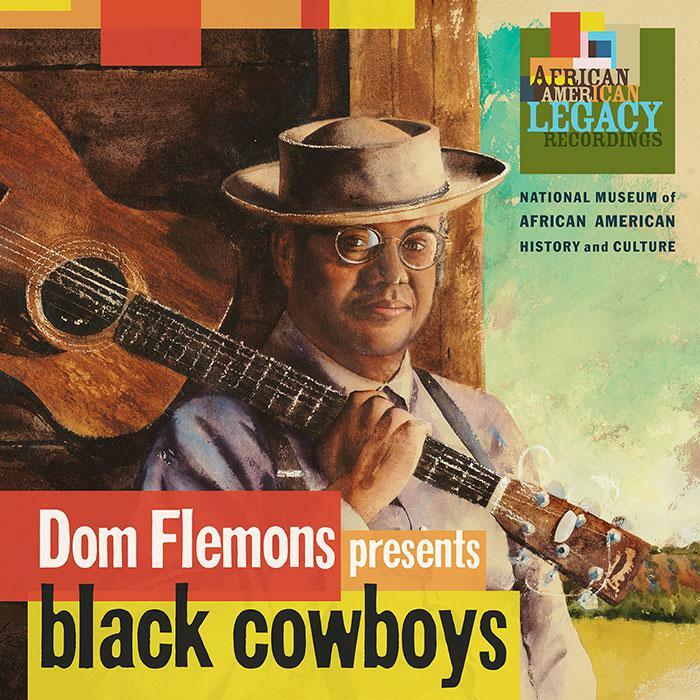 The early documentation of folklorist John A. Lomax reveals that many of the most well-known songs in the cowboy repertoire were collected from the black cowboys. But somehow, over time, the acknowledgement of the African-American roots of cowboy music has declined. One place that black cowboys’ musical influence remained clear is in the tradition of black songsters. These folk and blues singers, like Lead Belly and Henry “Ragtime Texas” Thomas, provide glimpses into a larger story that connects the past and future of cowboy music. By definition, songsters play an eclectic mix of material. And the songs of the range often made their way into this mix, alongside blues, ragtime, and other popular genres. For Dom, using the name “The American Songster” is the perfect way to reconnect traditions that have drifted apart in the public imagination. And one important part of that effort is reclaiming cowboy music as a part of African-American culture. In this episode of American Songster Radio, Dom discusses the lives and repertoires of the black songsters whose music he carries forward. He also shares his version of “Charmin’ Betsy,” a song closely associated with Henry “Ragtime Texas” Thomas. The cowboy is an icon of American culture. But the popular image of the white cowboy skews our perception of what kind of Americans did—and do—cowboying work. The American West after the Civil War was a dynamic and ethnically diverse place. As many as a quarter of the cowboys during the frontier era were African Americans.